← School Funding Rally At City Hall… Honoring Connie…….Political Calendar..
Town Committee Meets May 30th…Memorial Day Parade Thursday…Minimum Wage Bill Advances…Remembering Gene Millerick…. The Democratic Town Committee will hold its May meeting on Thursday, May 30th, at 7:30 p.m. in Room 201 (2nd floor) of New Britain City Hall, 27 West Main Street. The 7:30 start will be 30 minutes later to allow members and friends to view and participate in the Memorial Day Parade. On the agenda will be an update on endorsements for city offices and discussions on the progress of CT Fastraks (busway) and the COSTCO project. All are welcome. 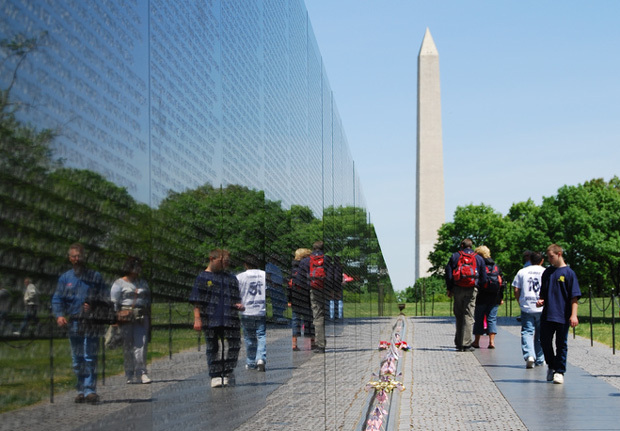 New Britain’s Memorial Parade, always held on the traditional day set aside to honor Americans who lost their lives in wars, will be held on Thursday, May 30, 2013, beginning at 6 p.m. It will begin at the top of Broad and Burritt Streets with the line of march going East on Broad Street to South on Main Street and past the reviewing stand in Central Park before ending at Franklin Square. City officials expect the largest parade in several years led by the city’s veterans organizations and including school bands, little leagues, youth soccer groups, fife & drum corps and others. The State Senate on a 21-15 vote approved a minimum wage increase last week that will raise the hourly wage 45 cents on January 1, 2014 to $8.70 and another 30 cents in January 2015 to $9. House passage is all but assured for the Senate bill to increase the current minimum of $8.25. Following committee approval of a stronger bill supported by New Britain’s legislative delegation, the wage hike proposal won the support of Governor Malloy, House Speaker Brendan Sharkey and State Senate President Don Williams in its revised version. According to the Democratic Senate Caucus, a full-time minimum wage worker earns just $17,160 a year in CT now—more than $2,000 below the federal poverty limit for a family with 2 kids. Four in five Connecticut workers who make minimum wage have a high school diploma or higher education. According to a report by the independent research and advocacy group Connecticut Voices for Children cited by Williams, those who earn at or near minimum wage overwhelmingly work in three industries: retail, education and health, and leisure and hospitality employ over 70 percent of the low- wage workforce. About 32 percent are employed in retail—the largest single employer of near-minimum wage workers. In addition, 21 percent are employed in the education and health sector, with another 20 percent employed in leisure and hospitality. The fair minimum wage proposal (SB 387), unanimously endorsed by the NB Democratic Town Committee on April 26th, would have raised the minimum in two steps from $8.25 to $9.75 on January 1, 2015 and would have tied future increases to the Consumer Price Index (CPI). President Obama has proposed a raise in the federal minimum, which is below CT’s, to $9 per hour and to have it indexed to the CPI. A federal measure depends on Democrats re-taking control of both the Senate and House in 2014. Former State Rep. Gene Millerick of Plainville, a World War II veteran and staunch Democrat who represented a part of New Britain in the 22nd District in the Legislature, died on May 5th at the age of 88. 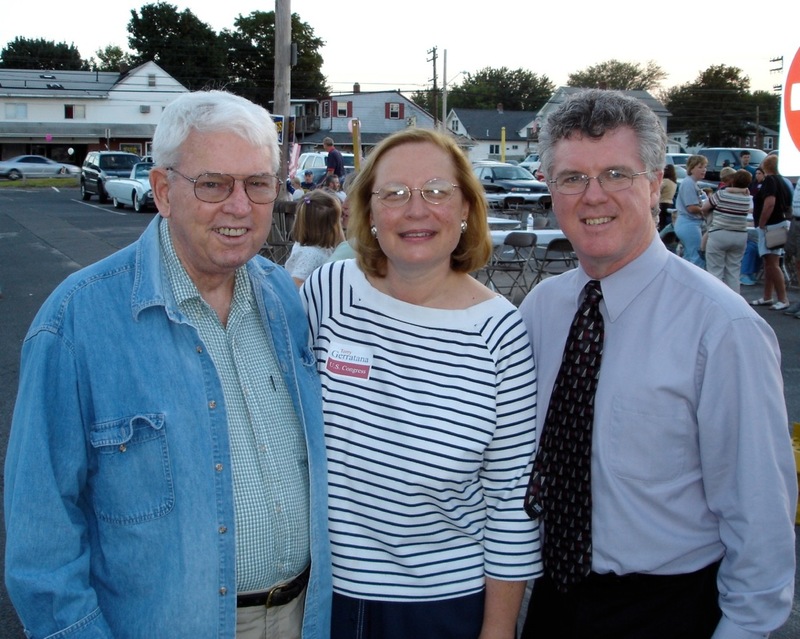 Former State Rep. Gene Millerick (left) with State Senator Terry Gerratana and former House Speaker Chris Donovan in a 2004 photo. A former Board of Education Chair and longtime civic leader in Plainville, Millerick served in the Legislature for four terms with a New Britain delegation that included former State Senator Joe Harper and the late Raymond Joyce of the 25th District in the late 1980s and early 1990s. Millerick, Harper and Joyce were the first recipients of the Democratic Town Committee’s distinguished services award — an honor bestowed when the retired from the General Assembly as Committee Chairs. An insurance and real estate broker, Millerick sponsored legislation that established local tourism districts. He helped obtain expansion funds for Tunxis Community College where he was recognized for his strong advocacy and support of the two-year associate’s degree school that serves the New Britain area. Donations in former Rep. Millerick’s memory are encouraged to The Petit Family Foundation, PO Box 310, Plainville, CT 06062-0310 or The Michael J. Fox Foundation for Parkinson’s Research, Grand Central Station, PO Box 4777, New York, NY 10163-4777. New Britain Democrats extend condolences to the New Britain Chamber’s Bill Millerick, his wife Gail and the Millerick family. This entry was posted in City Hall, In Memoriam, Meeting/Event, Weekend Update. Bookmark the permalink.